F5 and NGINX today announced an agreement under which F5 will acquire NGINX for approximately $670 million. 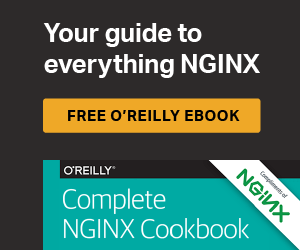 Hear from NGINX CEO Gus Robertson on why NGINX + F5 is a powerful combination that will ‘bridge the divide’ between NetOps and DevOps. NGINX Unit 1.8.0 introduces internal routing of requests based on host, URL, and HTTP method, This sets the framework for full Layer 7 request processing, necessary for further development of Unit's web server functionality. The NGINX Controller API Management Module is next-generation solution for defining and publishing APIs, managing and securing API traffic, monitoring performance, and analyzing usage. In short, it manages the entire lifecycle of APIs without compromising performance. The NGINX Partner Network is a global program, spanning all partner types and all geographies. It embraces the way partners want to engage and sets up an easy path to doing so, offering multiple ways to work with NGINX in both business and technological collaborations. NGINX Plus R16 is a single, elastic ingress and egress tier for applications, consolidating the functionality of a load balancer, API gateway, and WAF with new features like cluster‑aware rate limiting, key‑value store, Random with Two Choices, enhanced UDP load balancing, and more. You can download a free copy of the complete ebook, The Enterprise Path to Service Mesh Architectures, immediately. This ebook explains service mesh architectures from an enterprise point of view and tells you how to adopt a service mesh architecture in your own microservices applications. NGINX has released version 1.3.0 of the NGINX Ingress Controller for Kubernetes. This release features Prometheus support, better Helm charts, mergeable Ingress resources, easier custom template management, health checks, and status reporting. Come to Github and get it. The NGINX Web Application Firewall (WAF) is now certified in the Google Cloud Security Partner Ecosystem, protecting applications hosted on the Google Cloud Platform from Layer 7 attacks like SQLi and RCE. NGINX Unit 1.3, available now, adds configuration parameters for various timeouts, configurable request body size, Ansible integration, and more. As in previous releases, all parameters can be defined dynamically, with no disruption to running services or loss of connectivity. Is Your API Management Solution Really Secure?